Lost five minutes at post 12; to my mind, the map wasn't accurate in this area and the ditch was actually 20-30 meters to the right. Otherwise a clean albeit slow race due to a mild flu. 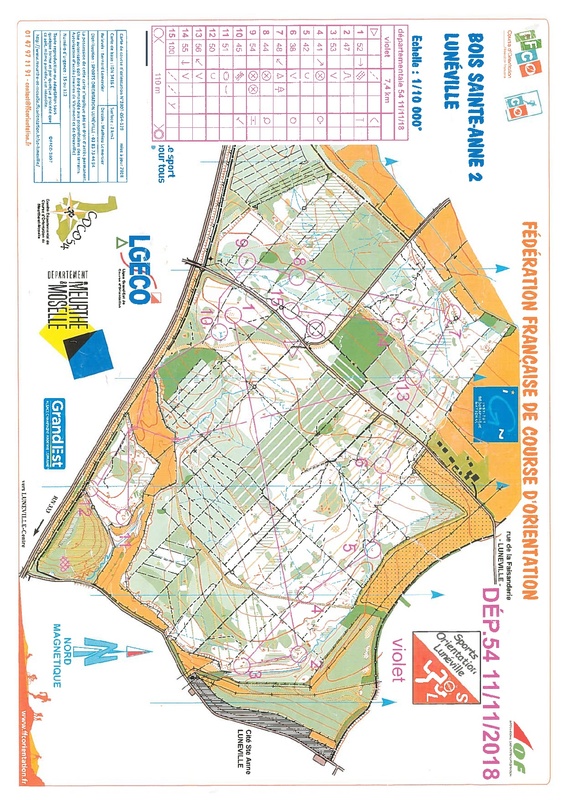 A gorgeous, sunny day near Nancy and a nicely laid out course!